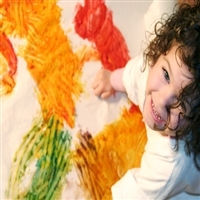 Bring your child to a New York Art studio and let him or her paint, sculpt, draw and more in a fun and creative environment. Art studios in New York are abundant - use this directory to find some of the top ones around. 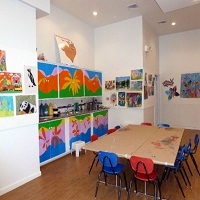 If your child has a talent for painting and drawing, or you just want them to have fun, bring them to Kids at Art, one of the best kid’s art studios in NY. Let their creative spirit run free. The studio has existed for over a decade and offers programs for children from 2 to 12 years of age. Since the class size is limited, every kid receives individual attention. From time to time exhibitions of the students’ work are held. Anyone is welcome to see them. The studio can also organize a most creative birthday party for kids. This is a different sort of art studio in New York, because while they do teach the methodology for painting a canvas, which will be worthy of hanging, the stress level is low. 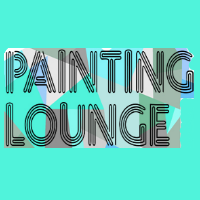 Painting Lounge emphasizes "no previous drawing or painting experience required" and, they invite you to bring your own bottle (optional). This art studio in New York is a relaxed, social setting. The instructors are experienced in leading students through simple steps, helping each to recreate the painting which is featured for that particular class. This atmosphere is completely stress free, almost therapeutic. Their classes start at just $50 for two hours. Check their website as their course schedule is updated. Painting Lounge also offers parties for children, bachelorettes, birthdays, showers, and even team building! Their art studios in New York are located at Brooklyn, Queens, and Staten Island. Fabrizio’s goal is, “To move each artist toward expressing his or her own artistic statement, which may take more time for some than others.” Their instructors are both thoughtful and gifted, and care about the support and guidance provided to each and every student/artist – no matter what level of ability, making them one of the best art studios in New York. Fabrizio Art Studio has courses available in oil, acrylic, and watercolor-painting, as well as clay, wood, and stone-sculpturing. Sessions are scheduled Monday through Thursday, from 10:00 a.m. to 1:00 p.m. and 2:00 p.m. to 5:00 p.m. Classes consist of 8 or 10 students. Tuition prices start at $663 for a 12 week session. Fabrizio Art Studio is truly a fine art studio in New York – an enclave for beginning art enthusiasts, experienced students, and all levels in between. Come to Michiyo Art Studio for Lessons and Inspiration! Michiyo Art Studio’s philosophy, “There is no cycle... Begin whenever you get inspired!“ makes them one of the best art studios in New York. Their continuing education programs offer dedicated students the opportunity to study, practice, and learn with accomplished artists. Their easy contact web form has a service for course registration & provides information for dates, times, costs, etc. depending on your area of study. Prices start at $45. Their expert instructors and multiplicitous curriculum make Michiyo Art Studio a great art studio in New York. Have you ever seen a child's smooth cool finger paint over a sheet of paper with both hands, pulling her fingertips through the paint to make squiggles? Or observed a child coloring in bountiful spirals with crayons? If yes, then you have seen the concentration on these children's faces, and the joyful expressions of art explored. You have witnessed creative art in process! Enhance your child’s potentials and creativity at The Young Artist Studio. It is one of the few art studios in NY who prioritize in inspiring and awaking each child’s artistic passion in an accepting environment where every child can feel successful with their effort while having fun and appreciating both the product and the process of making art. Assist your children identify and develop their talents. Provide them with the resources they need to pursue their interests. Accept their uniqueness. Encourage their enthusiasm. Help them to be the best they can by discovering their true potential. Enroll your children to one of the highly recommended art studious in NY—The Young Artist Studio and together let’s celebrate your child’s individuality. After just one class with Paint Along, you’ll walk away with a canvas, worthy of praise! For a truly wonderful art studio in New York, you’ll want to sign up for classes with Paint Along. Like the name implies, you will actually paint along with their friendly instructors. Maybe your early school teachers did not encourage your art potential; Paint Along will change all of that. Their way of thinking is that everyone has the ability to accomplish a painting with canvas, brush, and paint – no matter what your ability, and they can lead you along, with their capable and caring instructors. Paint Along is one of the best art studios in New York because they make sure that their students leave with a feeling of accomplishment. Prices start at just $45 for a two hour session; $55 for three hours. All supplies are included. You may BYOB if you desire; cups and corkscrews are provided. Check their website for course times, as the schedule varies and is updated regularly. Most evening classes start at 7:00 p.m.
For Art Lessons, The Art Studio NY is one of those places that is a must-go-to! If spending time with master instructors, who easily teach anyone with a paintbrush or pencil, is something you have been thinking about, then you will definitely want to take some classes at The Art Studio NY. Their instructors have experience teaching all levels, from children and beginning adult classes, to the advanced levels. Quite simply, this is one of the best art studios in New York. The Art Studio NY has numerous courses and times available. If you are planning an interesting date night, or girl's night painting, this is the place to call! Prices start at a low $45! This friendly and encouraging environment welcomes all who want to nurture their imaginative spirit. Everyone has a creative spark inside and The Art Studio NY is one of the most special art studios in New York. With its caring staff members, they will work with each student to encourage and develop every student’s potential.